Gina has been in the hair business for almost 30 years. 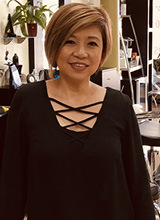 She joined Signature hair 3 years ago to share her talent and expertise in doing hair and is always excited to bring new hair ideas. 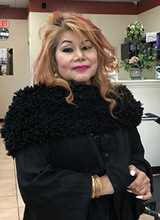 She enjoys attending hair shows and hair classes to keep up with new hair trends and to learn new techniques in hair styling. She is an all around hairstylist specializing in hair color, highlights and haircuts for all ages. She is ready and always excited to help you and your whole family with your hair needs. Edna has been in the hair industry for 35 years. She is specializing in women and men styles, as well as in hair-coloring and highlights. Edna utilizes her vast experience to consult and bring the best out of her clients. Edna is always communicating with a smile. She will make your experience at Signature Hair in Richardson a great and pleasant one as always. Ryan has been fortunate enough to work in the beauty industry since 2004. He sees himself as a perfectionist when it comes to hair. His overall goal is to make the client happy while enjoying the time he has with them when they are in his chair. 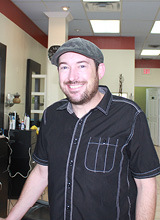 He is specializing in cutting, coloring, highlights and Keratin techniques. 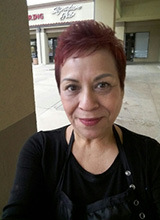 Lisa has been a hair stylist for 45 years and has had a cosmetology license in several states. She's here to share her knowledge and expertise and experience In doing hair. She's a very enthusiastic stylist, making sure every one in the salon is comfortable specially clients. Lisa also specializes in facial, microdermabrasion, makeup and all occasion hair up do's. 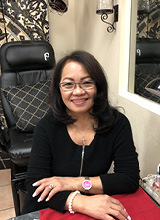 May is our nail technician for manicure, pedicure and other nail treatment. Nails have been May's specialty for 3 years. If you want a good hand and foot massage and a great manicure and pedicure, then come and see May!